In late 2013, Becky had just moved to Orlando and realized really quickly that finding new friends in early adulthood can be tricky. A freshly-graduated Jordan knew she needed an environment to keep up with her faith. And after a previous Connect group had died a “natural, painless death,” Susanna was ready to start her own. And that’s how they got here—varied stories in their rearview mirrors, with different perspectives driving them, and solid friendships up on the horizon. Q: In what ways has this group impacted your relationship with Jesus? Becky: It’s so important to have accountability and to have consistent reminders of truth. They point me back to Jesus. I am a total worrier and anxiety is a thing I struggle with, and this group has been a constant support. You know Satan is so deceptive and he can really feed you lots of lies and this group brings me back to God and his truths again and again. Jordan: Being there has helped me stick with my faith. It keeps my mindset in the right place. And it’s been really cool, because I’m the youngest in the group. So I can see how people a step ahead of me in adult life outside of college continue in their faith. And that’s a big deal for me. I look up to a lot of the girls in the group ‘cause I’m able to see—this is how people go about their day-to-day and keep their focus on their faith. Susanna: It gives me something to ground what I’m doing in church and in my life in a way that just going to church doesn’t. Community is just so vital, I don’t know if I can overstate that. I don’t even know how I would picture where my life and my walk with Jesus would be right now without my Connect group, truthfully. Being known in a more personal way has been so important to me developing as a believer. Q: Have there ever been times when your perspective has been challenged through this group? I, at the time, was one of the only married women. And so one of the topics was submission and what that looks like and that’s kind of tough, because it is such a personal thing between you and your husband. But what I really appreciate about the group is that no matter what we’re discussing, we’re open to hearing differences, but then bringing it back and coming back together. And conversations like that bring us closer. Jordan: I mean. There are different opinions that come from different people, you know? And it can be one of those that’s like ‘oh, have I really put enough thought into this? Have I really dug into what Scripture actually says on this?’ So. I would definitely say yes, we’ve had some tense nights. Not people actually mad at each other, but people are just really passionate about what they believe. I forgot what this one was called, but it was a pretty controversial study! It was supposed to bring up hard topics and there were some we agreed on and some—like marriage and male/female roles—that was an…(laughs) interesting night. This was the first real study I had done in the group, so I probably didn’t talk as much as I would if we were doing it now. And there were definitely times I was kind of thinking ‘what’s going to happen tonight?’ But it’s what drew me to the group. Everyone felt really comfortable and I saw that people were going to be honest and share what they thought, but that once we’re done we’re gonna pray and say ‘see you next week!’ And it allowed me to really dive more into what I think and explore harder questions. Susanna: (Laughs) Yes! There have been quite a few. I was actually thinking about one this weekend. I don’t remember if this was the focus of the week, but we were having a discussion about roles of men and women in marriage, in church, and in life and—yeah. To me that stands out because I have very strong opinions on one side of that discussion and there were different opinions on the other side. Yeah. We really—not in a fighting way!—but, yeah, we really got into it. Lots of different people chimed in and we talked about our different experiences and what we saw in the Bible and it really—yeah—it’s not like we settled that debate. But it’s not like it hurt the relationship either. I know that this is a place where—because I’m really opinionated—but people are going to keep letting me back! Q: What does a typical night in your group look like? Becky: We say we start at 7:15, and it used to be 7, but we just keep pushing it back because people really just roll in. And the first 15 minutes we have to sometimes stop ourselves because everyone is chatting and finally say ‘OK guys, we need to get started!’ We always start with a prayer and then discuss the homework for the week. We won’t go through every question, but Kari or Lindsay will ask what stood out. Then we have a time set for when we need to start the video portion or else we’ll never get out of there. And then we watch the video and spend time doing prayer requests. I love that time. Even more so than the study, you’re just really learning about each other’s lives. And we write our prayer requests on little Post-Its and then we switch it up so there’s one person a week you’re specifically praying for. And some of these girls have just been so good about reaching out and reminding me what they’re praying for me. Jordan: We start at 7:15, well. We usually start group closer to 7:25/7:30. So everyone just walks in, door is always open. People are pretty much just chatting once we get there, then once the conversations die down a little, we get started. We always try to remember to pray and then we’ll jump into the study. We’ll go over anything that stood out—you know it’s a very casual discussion, open to anyone bringing up a topic. There’s a lot of freedom to bring up whatever it is that caught your attention and then we all kind of feed off that. So once we finish discussing it, we’ll either watch our video segment if there is one or if there isn’t we pray, kind of wrap up for the night and—wait! First prayer requests! So we pass out the sticky notes, write ours down, and then everyone kind of shares what’s going on, which is a cool time. We can hear what’s really going on—what they’re struggling with, what’s been successful, and then each of us takes one home to pray for that person. And then we pray and then usually not hang too long ‘cause it gets late, so we head out. Susanna: Everyone kind of rolls into Kari’s house. And she’s super casual, so she just leaves the door unlocked and we just wander in at 7:15. Theoretically. Actually, not everyone is there so we don’t really get started until like 7:30. And so the first 15 minutes, at least, we spend time just catching up and seeing how everyone is doing. Then we get started. We pray, we get out our books, and then get into ‘OK, what did you think about this?’ And this is really where you get the exchanging of ideas and sometimes disagreements. And then usually from there we go straight into prayer. Everyone gets a sticky note, we write our prayer request on it, and then we go around the circle and just talk—’here’s something I need prayer for, here’s an answer to a prayer I was praying about last week.’ It’s a bit of a life update too. During prayer requests we’re really digging into how are things actually going, how can we be supporting you this week in prayer. We exchange the sticky notes so everyone gets one person’s prayer request to take home and be praying for all week. And that’s where we usually end! I met with Becky, Jordan, and Susanna separately. I had very little prior knowledge of who they were or what their group was like; I was really just looking for a Connect group that would share stories with me so I could see how this perspective thing found in the different Gospel accounts translated to a group of Jesus-followers today. I found out quickly who the time-conscious one of the group was. I heard the ways being the youngest of the group impacts Jordan. I saw, as predicted, that—yes—our different stories and individual personalities impact our perspective of the world and how we talk about and experience things. Got it. But I also found in each of these women a reminder to me that our perspectives, if left unshared, can actually be a detriment to those around us and their relationship with Jesus. I had a very firm base of what I thought of Jesus for most of my life. Nice guy, great teacher, but let’s not get carried away with this “Son of God” thing. I wasn’t having it. And if the people in my life hadn’t boldly entered into tense conversations or had skirted the opportunities to share their perspective of Jesus with me, I’d be a really different person today. If they hadn’t invited me in—into their lives, into how they saw God and faith and the Bible, into an old-movie-theatre-turned-Sanctuary—my perception of Jesus as the giver of the grace I so desperately need wouldn’t exist. And I’m glad it does. I’m glad he is and I get to invite others into that truth. What Becky, Jordan, and Susanna offer each other through their honest disagreements and their willingness to share their victories and their hurts is a more accurate picture of what the Gospel writers were writing toward. We have a Father who writes each of our stories with unique precision and a Savior who covers those stories with the same unending grace. 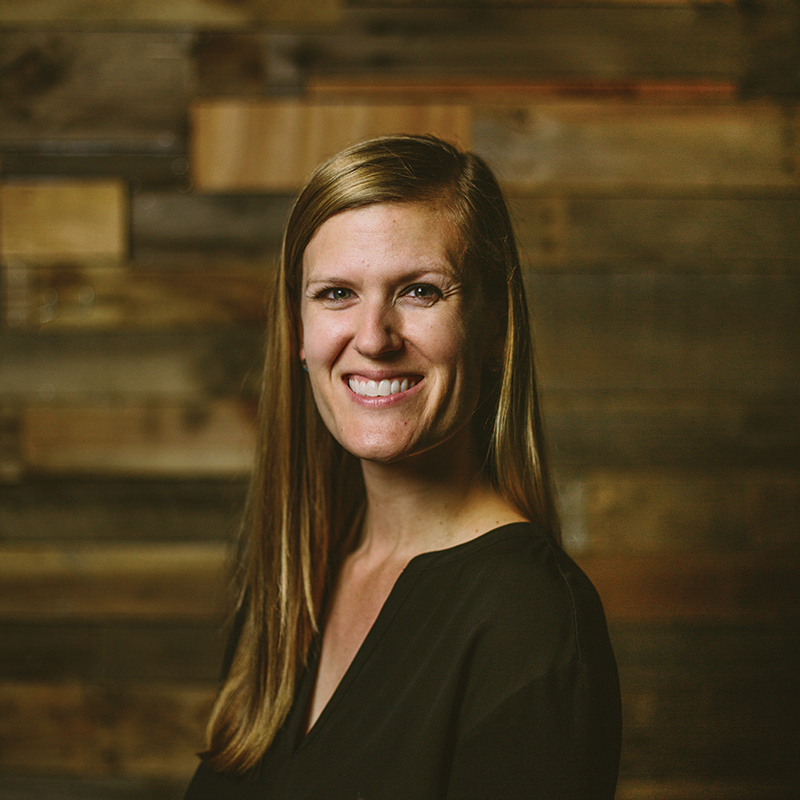 Katie Schmidt is the Content Coordinator at Summit Church, which means that pretty much anything you can read at Summit, she either wrote, edited, or coordinated. If you would like to get in touch with her to ask her a question, or to bum her out and let her know that you found a typo somewhere, email her at kschmidt@summitconnect.org.